Here is what I know for sure: my great aunt, Adita, was kidnapped from her home one morning in Colombia about 10 years ago. Hours later, she was found dead on the side of a dusty road in the nearby mountains of Santa Marta. The violent murder of Adita Perz is one shrouded in mystery. Her kidnappers were mysteriously killed before questioning and no one was ever charged with her death. Some say she was killed on the side of the road and then set aflame (a gruesome version of the story I had grown up with). Others say Adita was killed in her home, rolled up in a carpet and dumped in the mountains. The theories surrounding why she was murdered are even more nuanced. I hadn’t been to Bogota—my birthplace—in over a decade but after years of wondering about Adita’s murder, I decided to fly to Colombia to trace my family’s past and learn about the people I believed were guilty: the FARC. The FARC or the Revolutionary Armed Forces of Colombia were a narco-terrorist organization that was formed back in 1964 by Manuel Marulanda. The FARC started in earnest as a political movement founded on Marxist ideologies but over time began using criminal means to finance their war. At its peak, FARC controlled roughly 40 percent of Colombia. Using narco-trafficking, kidnapping, and taxing of the local people, FARC was able to finance their military operations and bring in an estimated $600 million USD annually. According to Colombia Reports, the FARC was considered the third richest terrorist organization after ISIS. 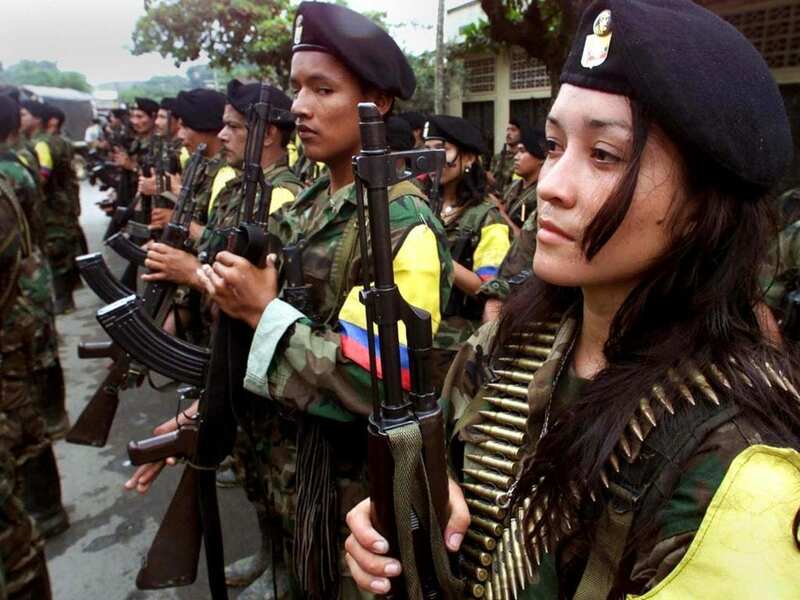 Recruiting from small indigenous communities, more than 11,000 FARC fighters joined the guerrilla movement as minors, while more than a third of the FARC fighters were reportedly women. 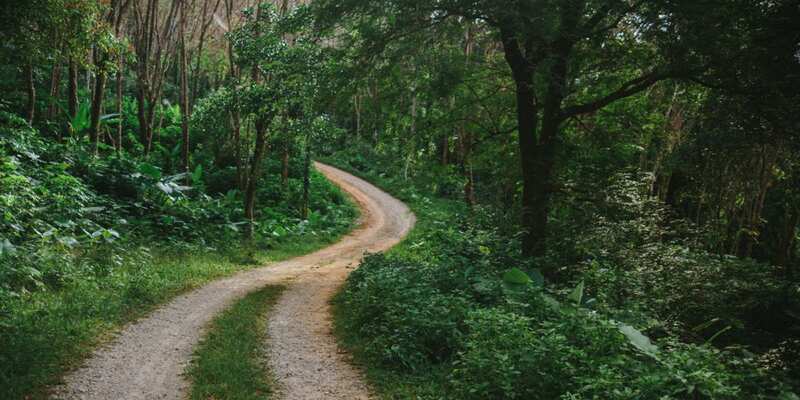 Throughout my life—whether warranted or not—I had considered FARC the metaphorical ‘big, bad wolf’ that was behind every misfortune my family had. I blamed the FARC for my uncle’s kidnapping when he one day left his work at the Colombian embassy in Bogota, was taken to a field, stripped of his belongings and then held at gunpoint. I blamed FARC for what happened to my grandfather who, in his heyday, was one of the top plastic surgeons in the country, before he began receiving kidnapping threats from the guerrillas and fled to the United States. I blamed FARC for the death of my great aunt, Adita. In November 2016, Colombian President Juan Manuel Santos signed a historic peace agreement with the FARC that transformed this narco-terrorist group into a recognized political party with guaranteed seats in the Colombian Congress and Senate. Meanwhile, more than 7,000 FARC fighters would begin their transition from the jungles to the city by undergoing a government-funded reintegration program. The peace deal—which was originally voted against by the majority of Colombians—has drawn intense criticism for its leniency towards the FARC, creating a passionate debate of what is more paramount for Colombia: obtaining justice or having peace. More than 200,000 people have been killed and nearly 7 million displaced, by the violence that unfolded in Colombia. Whether a direct result of the FARC or other criminal organizations in the country—such as ELN (Ejército de Liberación Nacional or the National Liberation Army)—the scars of the country’s war run deep. I don’t remember Adita. Having met her long before the age of 10, details of her elude me—as do most of my memories of my time spent living in Bogota. What I do recall is the summer of 2004, when my father decided to send me to Colombia to spend a few months with my great aunt. About a week before my arrival, my dad received a rather unusual email from my great aunt that simply read: “Do not send Nicole down here.” A few days later Adita was dead. While in Colombia, years later, I sat down one evening in Bogota with Margarita, one of Adita’s daughters, to ask her about her mother and my great aunt. With her short blonde hair, loose white top and friendly smile, Margarita began to paint a picture of her mother. Adita was a dentist and a painter who lived on the beaches of Santa Marta on Colombia’s coast, where her husband’s family owned a massive plot of farmland, passed down from generation to generation. The land, which was used for crops, cotton, and cattle, was eventually overtaken by guerillas. The guerrillas invaded the property and began selling it off to other buyers, illegally financing their activities. The result is a convoluted, excessively complicated legal mess where landowners who had purchased sections of the land from the guerrillas (who did not own the rights to sell it) were all of a sudden at a financial loss. Adita’s husband—a lawyer in his own right—attempted to get his family’s land back through legal means; but with the guerrillas long gone, it became a battle between the Perez family (the rightful landowners) and the people who had purchased the land from the insurgents. In short, things became complicated and, in Colombia, that often can equate to violence. Adita’s husband had managed to sift through the sea of paperwork to legally re-obtain his land, but now faced the daunting task of physically delivering eviction notices to the people who currently occupied it. Margarita’s father was threatened, shot and did not return to the family’s farm again. After Adita’s husband and Margarita’s father passed away, Adita decided to resume her husband’s work to retrieve the family’s land. According to Margarita, one of the buyers illegally occupying their property was a wealthy, albeit aggressive, man who was extremely unhappy at the prospect of a financial loss. “I was talking with [my mother] and she told me she was trying to talk with that man and that they were going to agree on something soon,” recalls Margarita. A few days later, Margarita received a call from the Santa Marta police that her mother was found dead, on the side of the road. This is where the theories begin to swirl as to what exactly happened to Adita. My dad believes that the FARC may have had Adita killed for her attempts to get the land back from them. Margarita thinks perhaps this wealthy landowner may have hired local thugs to “rough Adita up” in an effort to deter her from taking the land back, only for things to be taken too far. Margarita vividly remembers having to identify her mother’s body, noting the trauma to her head. It seems there is no doubt as to how my great aunt was murdered, but the reason as to why still remains shrouded in mystery. The wealthy landowner was never questioned, the kidnappers turned up mysteriously dead and just like that, Adita’s death was swept under the rug like so many others in Colombia. I asked Margarita whether she blamed FARC for her mother’s death. While they may not have been directly responsible, FARC guerrillas were the catalyst. After all, had they never invaded her family’s land would any of the resulting violence have happened? 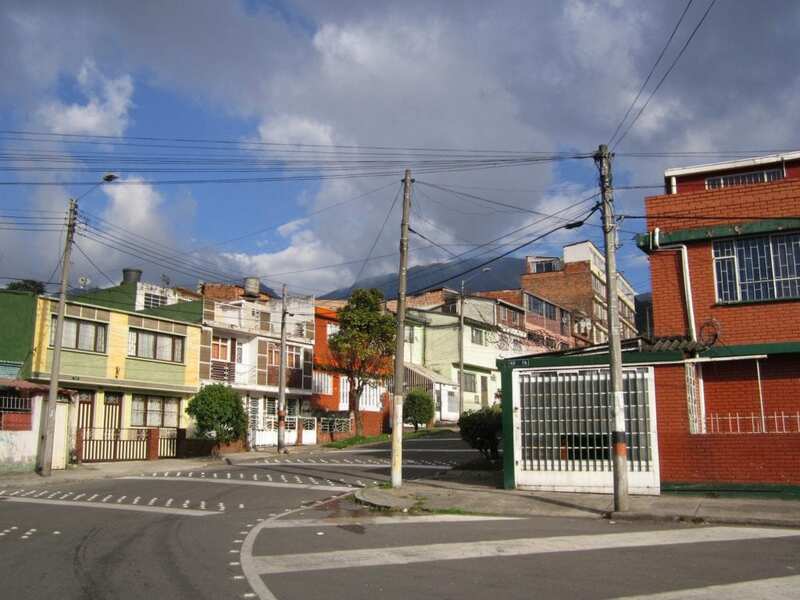 In my last day in Bogota, I found myself on the outskirts of the city in Barrio Sur—a rundown slum with dusty roads and crumbling buildings. Stray dogs wandered languidly across the street as my car pulled up in front of a nondescript white building with wrought iron windows. The door swung open and I was promptly greeted by a security guard who checked my bags before leading me upstairs to a conference room where a young woman, age 30, sat waiting. Flora—who preferred a pseudonym be used—is an ex-FARC fighter who left the jungles of Colombia seven months before my visit. At this precarious, political time, Flora has been undergoing a reintegration process that slowly prepares her for civilian life in the city. Sitting across from a member of FARC, I did my best to leave my personal biases and emotions at the door. I tried not to think of my family and instead tried to understand what would compel someone to join a terrorist organization. With red-purple highlights framing her face, Flora began to tell me how she joined FARC just shy of age 14 in an effort to save her parents the financial burden of supporting her education. Making no mention of agreeing with the FARC’s Marxist ideologies or intent to overthrow the government, Flora joined FARC simply because the group promised her food, security, and shelter at a time when her family couldn’t afford it. Flora’s life—like so many other child recruits who joined the FARC—unfolded under the shaded canopies of Colombia’s jungles. Flora got her first period, fell in love, lost her virginity and even had her first child in the jungle (whom she had to give up shortly after birth to a family member due to strict rules against children in the FARC). Only now, 14 years later, Flora is beginning to build a relationship with her daughter, thanks to the peace deals and reintegration efforts. By the time I left Bogota, I was no clearer on my great aunt’s death or who is to blame for it. Theories unraveled at the seams, questions went unanswered and everything remained in the grey area that seems to envelop my homeland. There is a term that locals use to describe the chaos of Colombia: Locombia, which combines the words loco, or crazy, with Colombia. Whether it’s a young girl being inducted into an army before the age of 14, young men being paid to kidnap a woman without question only for them to turn up dead or my great aunt being murdered for trying to take back what was rightfully hers; there is no rhyme or reason to Locombia. A version of this story appears in the Fall 2018 ‘Resilience Issue’ of Unearth Women, available now in print and digital.